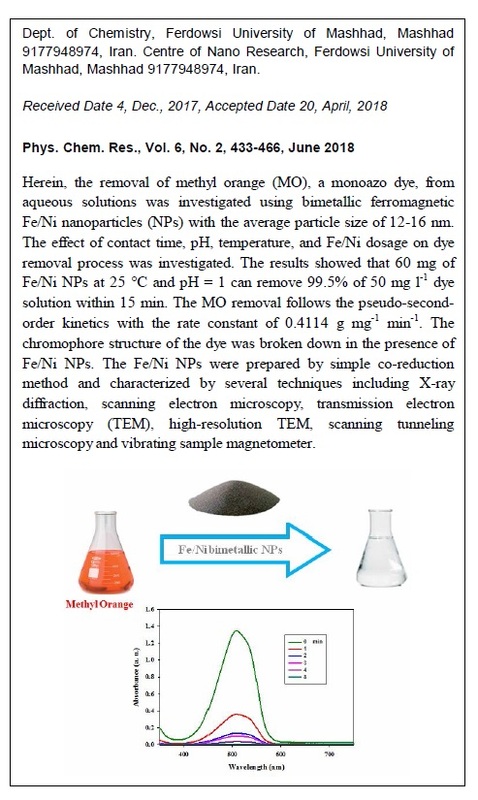 Herein, the removal of methyl orange (MO), a monoazo dye, from aqueous solutions was investigated using bimetallic ferromagnetic Fe/Ni nanoparticles (NPs) with the average particle size of 12-16 nm. The effect of contact time, pH, temperature, and Fe/Ni dosage on dye removal process was investigated. The results showed that 60 mg of Fe/Ni NPs at 25 oC and pH= 1 can remove 99.5% of 50 mg/L dye solution within 15 min. The MO removal follows the pseudo-second-order kinetics with the rate constant of 0.4114 g mg-1 min-1. The chromophore structure of the dye was broken down in the presence of Fe/Ni NPs. 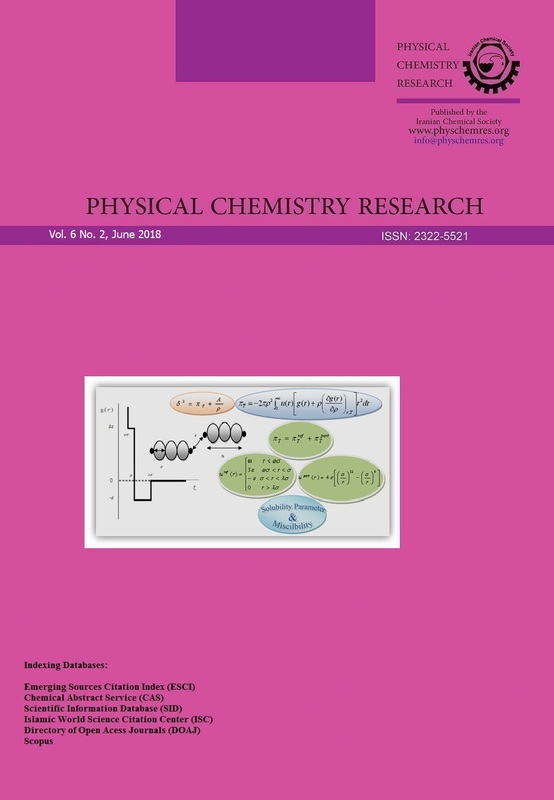 The Fe/Ni NPs were prepared by simple co-reduction method and characterized by several techniques including X-ray diffraction, scanning electron microscopy, transmission electron microscopy (TEM), high-resolution TEM, scanning tunneling microscopy, and vibrating sample magnetometer.NPs.